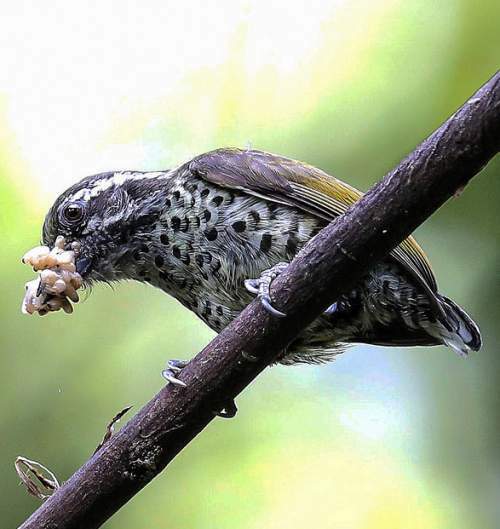 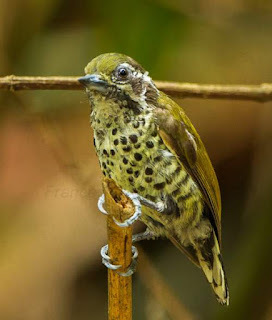 The speckled piculet (Picumnus innominatus) belongs to the family Picidae under the order Piciformes. 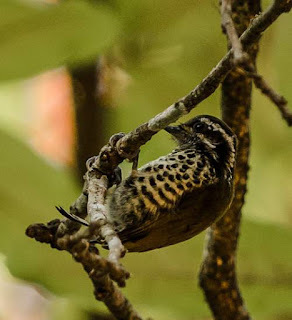 The family Picidae was first described by William Elford Leach, MD, FRS (2 February 1791 – 25 August 1836), an English zoologist and marine biologist, in a guide to the contents of the British Museum published in 1820. The family Picidae includes five subfamilies, viz., Jynginae, Nesoctitinae, Picinae and Picumninae. These subfamilies together include about 240 species arranged in 35 genera. Following the arrangement of species in the genera by del Hoyo et al. 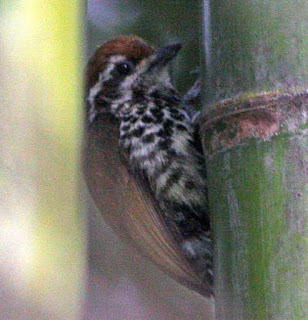 (2002), the subfamily Picumninae includes genus Picumnus (27 species), genus Verreauxia (one species) and genus Sasia (two species). The genus Picumnus contains 27 species. Twenty six of these species are from Neotropical realm (Central and South America) and Picumnus innominatus is an Asian species. 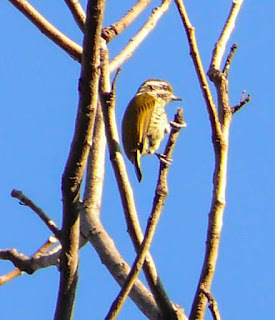 Sometimes P. innominatus is placed in a monotypic genus Vivia. 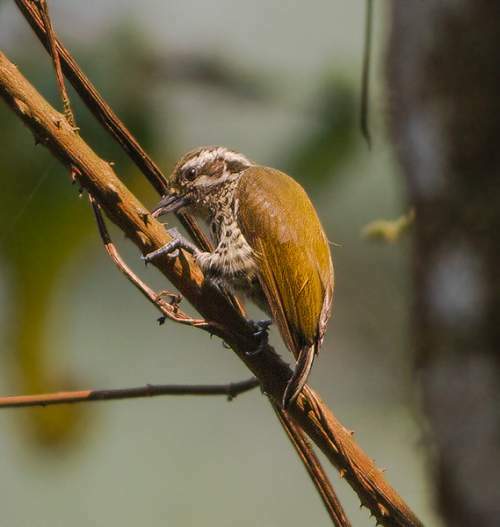 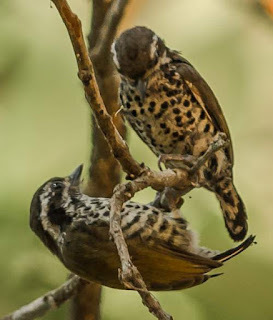 Current topic in Birds of India: Speckled piculet (Picumnus innominatus) photos.